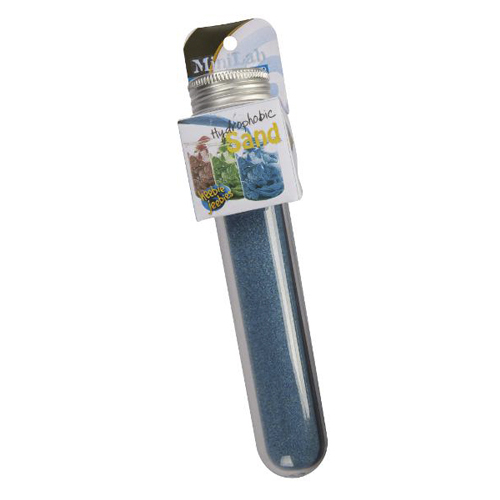 Hydrophobic Sand is a toy made from sand coated with a hydrophobic compound so it’s always dry, and dyed in bright colors. When submerged in water, it can be moulded into structures. Simply dry it out to reuse! The presence of the special hydrophobic compound causes the grains of sand to adhere to one another and form cylinders (to minimize surface area) when exposed to water. When the sand is removed from water, it is completely dry and free flowing. Its great for teaching about hydrophobic substances. Magic sand was originally developed to trap ocean oil spills near the shore. 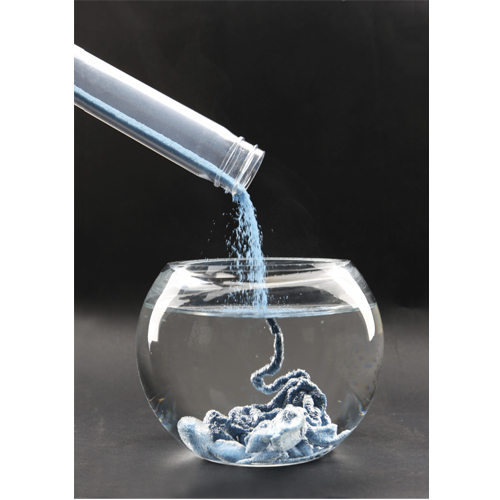 This would be done by sprinkling magic sand on floating petroleum, which would then mix with the oil and make it heavy enough to sink. Due to the expense of production, it is not being used for this purpose. It has however also been used by utility companies in Arctic regions as a foundation for junction boxes, as it never freezes. In deserts it is sometimes used to keep water near plants’ roots. 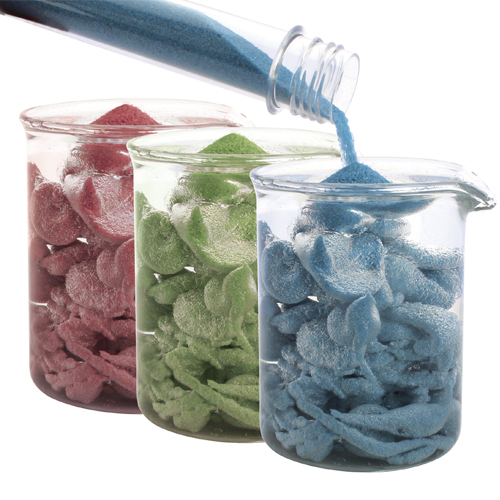 Hydrophobic Sand is available in blue, pink and green, with your colour option chosen for you upon purchase.